Sports horses – are they really locked up for their own safety? Are fields such dangerous places that a talented thoroughbred is not allowed near one without a rider? And horseshoes? Surely, these horses work on grass and have no need of them. Meet Simon Earle, a racehorse trainer, who asked himself those questions ten years ago and came up with answers that set him on a different path to the rest in the industry. His horses are predominantly barefoot and, surprisingly, live for much of the time in a herd. In a field! If you’re not a horse person, you might not realise the significance of this. 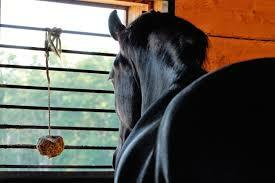 Believe me, it’s a rare sight and the common regime for talented equines is training followed by stable confinement. It’s rarely questioned and yet the lifestyle causes such stress that ulcers can be found in most race horses. Tendon injuries are regarded as a hazard of racing but Simon has found that taking their shoes off minimises the risk. It sounds as if I’m tempting fate but, since finding a specialist barefoot trimmer eight years ago, not one of his animals has suffered a tendon injury and yet ninety per cent of conventionally-kept racehorses are thought to suffer such a break down, or similar, at some point in their predominantly short careers. It’s September and Simon’s horses have finished work. At four o’clock they’ve been fed (high fibre, low sugar, vegetable oil and a magnesium supplement) in the American-style barn that will shelter them at night in winter. Now it’s empty and echoes with our footsteps as we walk to the fields where the horses are grazing and socialising. These equines are a friendly crowd. They come to meet us; some check out my bag or the back of my head. One thinks the bag might be worth chewing but is easily dissuaded. There’s the usual herd dynamics to watch out for – that’s my mare, mate. Get lost. A newcomer is chased away and dominance is achieved without violence. Simon picks up their feet for us to examine even though we don’t have a head collar. The horses are so calm and amenable that for ten seconds I kid myself that even I might manage to ride one should it fall into my bag without him noticing. As I mentally choose a favourite, he apologises because I’m seeing their feet at their worst because they’re due for their four-week trim from farrier and barefoot trimmer, Chris Keable. These hooves are healthy and a credit to both men – no thrush, no white-line separation, both are warnings that things are wrong – but some of the horses haven’t been here long and he’s looking for improvement. They have the usual high price tags that make your eyes water – up to £85,000. That’s enough reason for most owners and trainers to resort to convention and stabling but Simon has seen results from giving his animals a more natural lifestyle. He views the field as a place of health and safety unlike most of his peers explaining that more accidents happen in the stable. He’s undoubtedly thinking of the recent loss of a promising horse nicknamed, Derek, who was put to sleep after an accident in the stable where he had been recovering from an operation. Simon runs a professional yard and there’s no doubt that his horses are also pushed to extremes – he wants winners like any trainer. But their more-natural lifestyle should give his horses an advantage. He’s already shown that tendon injuries are reduced. He says conventional shoeing plays its part in causing the damage. The farrier endeavours to reduce the number of front shoes pulled off by a hind foot by placing the shoe forward. Eventually the toe becomes long, the heels under run until eventually the foot has migrated changing the break over point and putting strain on the tendon. ‘It’s common sense that if you are weight bearing further forward then the back of the leg takes the strain,’ he says. I read on the internet how Simon would examine the track after a race to see his horse’s hoof marks and guess what? The barefoot horse doesn’t sink into the ground as much as his shod cousins – less strain on the tendon. He’s also observed that a horse’s stride lengthens without shoes and of course this will help the animal’s heart and his speed. 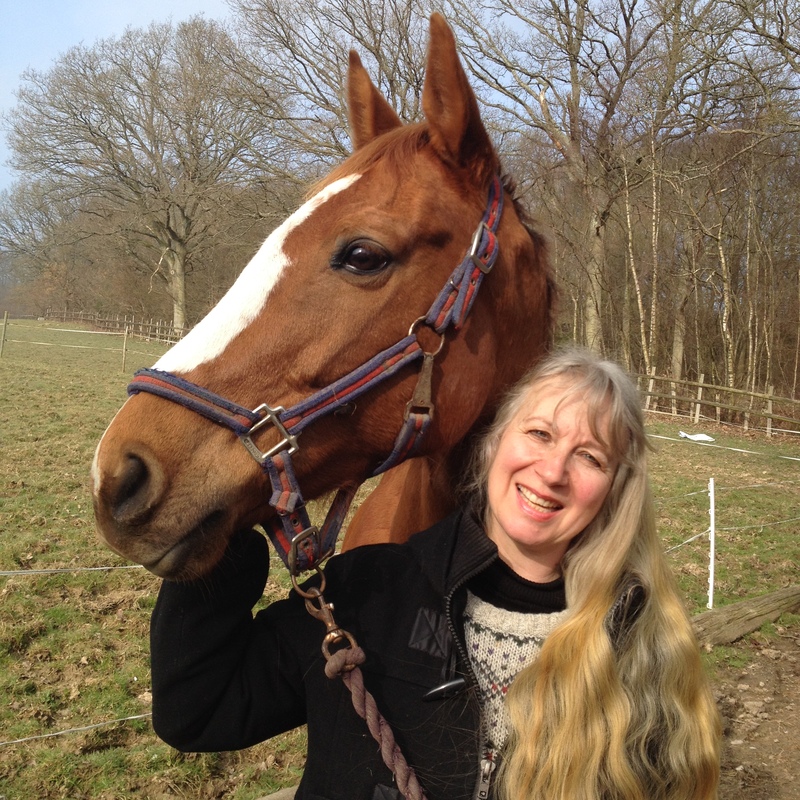 Simon’s barefoot journey accelerated ten years ago with a retired racehorse called Saucy Night. Frankly, he sounded like pet food and the word retired should have been replaced with finished. He had ulcers, he’d injured his tendons and his feet were a mess. Oh, and he was thin. His career wasn’t successful – not only had he never been placed, he had never passed another horse in his life. A former business partner acquired him and they started repairing him. The shoes were taken off. He was turned out. Slowly he began to recover. Saucy got used to life without shoes. He was put in the horse walker and then ridden. Fast forward to 2005 and a racecourse in Folkestone. Saucy Night made history by becoming the first barefoot winner beating the rest by six lengths. There’s even a You Tube film about him. Impressed? Saucy continued to make a success of his career before retiring (proper use of the word) a few years later. Simon runs a small yard; he has about a dozen horses, but his most successful horse was Red Not Blue who notched up numerous wins. He had come to him on the verge of retirement at the age of six – he had only one shoe on and after two-weeks of precautionary quarantine was turned out in the field to recover and transition his feet. I like Simon’s method – so many of us labour for months, sometimes years over this! But I suppose the pleasure horse has stony tracks to contend with and that’s my excuse. A racehorse trainer doesn’t have the luxury of time and he can’t devote himself to one horse and of course he only needs the animal to compete on grass. So, a newcomer is turned out with the others for six weeks preferably in Spring when the feet are growing strongly. He is trimmed every four weeks and not ridden. Then he’s put in the horse walker to see how those feet are faring. The summer gives the horses a lull from racing so the newly barefoot horse has time to show whether he will cope without shoes. Simon is dismissive of hoof boots because he ‘hasn’t found a good one’ and his attitude to metal shoes is pragmatic. He’ll use them if he has to, he’ll even put them on for a month to give horses a chance to grow some foot but he finds them a pain. They fall off and sometimes they wrench half a foot with them. Racing, he says, is as conventional as the rest of the horse world. So, I was curious to hear how he was regarded by his peers. Apart from one surprised comment at his first appearance with a barefoot horse he doesn’t get any ribbing and no one has questioned his sanity! He achieves this enviable situation with a personality that is unchallenging. He does his own thing, in his own quiet way. His horses compete, sometimes they win, and he goes home. What? Not even a little bit of curiosity? I ask. ‘There’s been press coverage. People know what I do,’ he says. Every trainer has a different approach but Simon’s methods are interesting. He favours staff who come from an eventing rather than racing background because, he says, they ride properly. He hastens to qualify the statement, explaining that he wants his horses schooled more than is usual. He wants them working their whole bodies, building up the muscles on their top line and able to sort out their own legs. So if a horse is approaching the final bend in a race, leading with the wrong leg, Simon wants the horse to swap over and not wait for a jockey’s instructions. He also wants the horse to be able to place himself correctly for a jump and so he does a lot of what is known as grid work with them, teaching them to gauge obstacles themselves, minimising the chances of a fall. 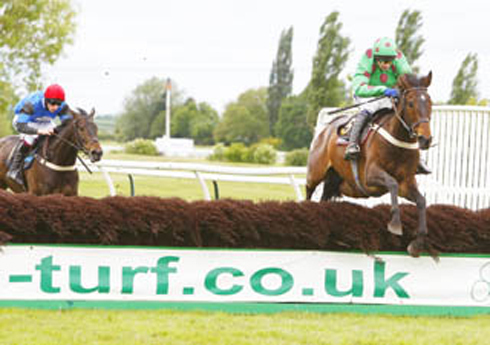 Racing, particularly over jumps, has its detractors. It’s hard on the horses. Many are raced at the age of two when they are not fully grown. There are losses and careers can be extremely short. I’m not going to paint a rosy picture of speed and elegance. Hundreds can be lost in a year, still more don’t make the grade or retire without the rebirth made by Saucy Night. What happens to those animals? I don’t ask Simon Earle to defend the sport but what of his own horses? ‘I rehome them and I track them for life,’ he says. There was a sweet, five-year-old mare in the field who wasn’t up to scratch but I keep myself in check and don’t stick up a hand. Red Not Blue has just gone to a well-known barefoot home. And two year olds? He doesn’t race them but it’s in character for him not to say much other than it’s not my thing. He favours racing them from the age of five and retiring them at about twelve. As we leave the fields, we are followed to the gate by a four-year-old bay, one Simon owns himself. He hasn’t raced yet and he has the calm look of a horse who likes humans. 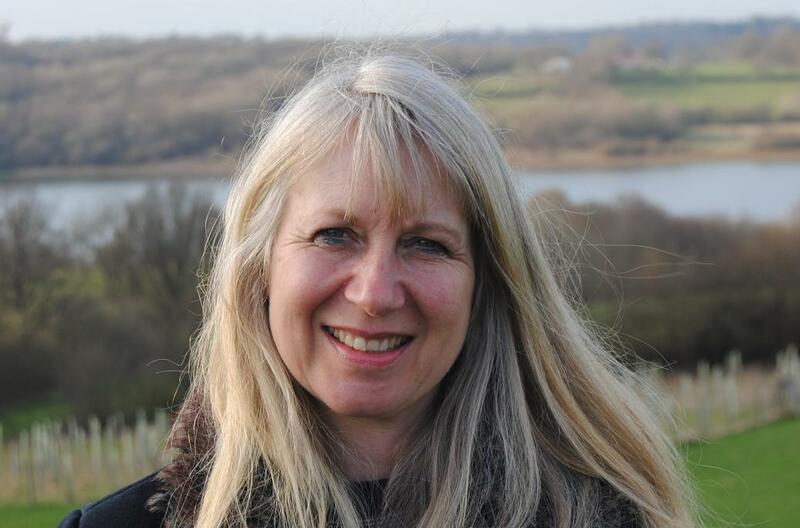 ‘He half thinks I’m his mum,’ Simon mutters, rubbing the horse’s face. 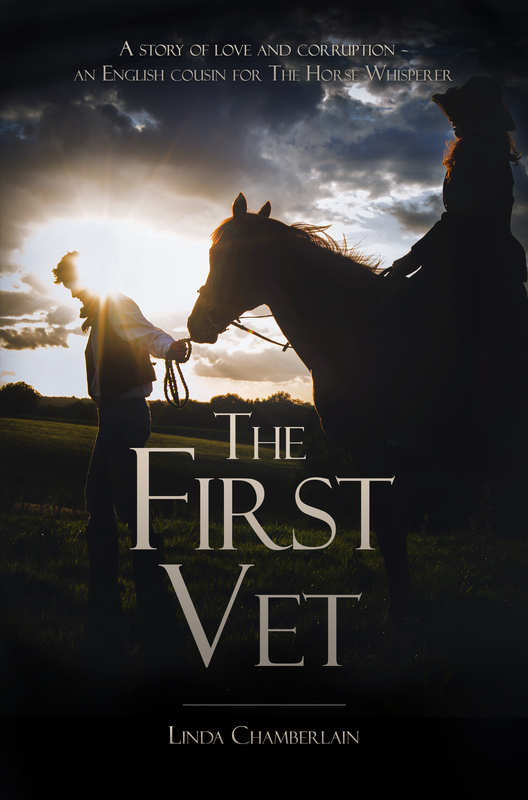 Then I remember he’d mentioned Monty Roberts – the innovative trainer from the US who has changed the way many horses are started, not broken, using a method called join up. Simon uses some of Monty’s techniques – of course he does. This entry was tagged barefoot horses, horse racing, horse shoes, join up, Linda Chamberlain, Monty Roberts, Red Not Blue, Saucy Night, Simon Earle, stabling, tendon injury. Bookmark the permalink. how many winners has he trained with this method? maybe 6 in the last year? it does not work, simple as. If he has had 6 winners from a string of 12 horses, that’s not bad, is it? Some of them were breakdowns, don’t forget. WTF! 6 wins in a year from a 12 horse stable, is off the scale success. 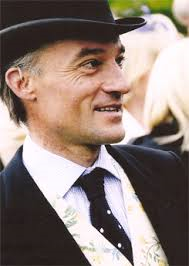 Hi, I had the pleasure of watching Simon riding Saucy Night at Vowley Farm about ten years ago. He’d just started with the horse and was riding barehoof, bareheaded (him!) and with just a lead rope instead of bridle, and no bit. I was impressed and had hopes that his care for the whole horse would spread through the industry. Little sign so far, but these things take time. By coincidence, I took the front shoes off my horse yesterday. Now both my horses are barehoof, tho I should stress they are not ridden, and if the decision looks iffy, I will have my farrier put them back on. I too dislike seeing horses kept too much in stables. 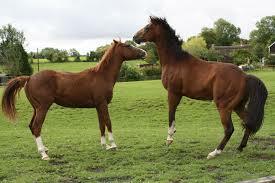 Horses play, they socialise and though the chances of flesh injury are greater in the field, the chances or internal breakdown and respiratory breakdown are far higher when boxed. Simon Erle is doing good work, in my view. I would have loved to see a picture of him riding like that. He is a very modest man and hardly blows his own trumpet at all. I love this. It seems to care for the horse rather than human needs, and that I totally respect. I’m not a rider, nor do I know much about horses, but I know humane when I hear it. Brilliant and informative as usual. Thank you for letting us know about this trainers approach.I hope other trainers catch on and give these magnificent horses a better and more natural life. Maybe the Queen should be let in on it…. Good to hear Simon’s barefoot approach with his racehorses. I have heard of trainers running horses without hind shoes but not without any. I can see the logic in lessening tendon problems although I’m not sure whether wearing shoes may have positives, too. It would be interesting to consider the views of a trainer who considers why they are favoured. With most trainers using this format it must have some reason. Simon has a small string and under rules has achieved fifteen winners on national hunt in the last five years. I wouldn’t knock a trainer who clearly holds the well-being on the horses in such high regard.Without testing traditional opinions progress or insight cannot be gained. Best wishes to him and the team. Fifteen wins sounds good to me, Jason. Is it for such a small team? Most of the horse racing world is so far sticking with traditional shoes but then so is the rest of the horse world. Change can be slow but I would love to quiz some other trainers. 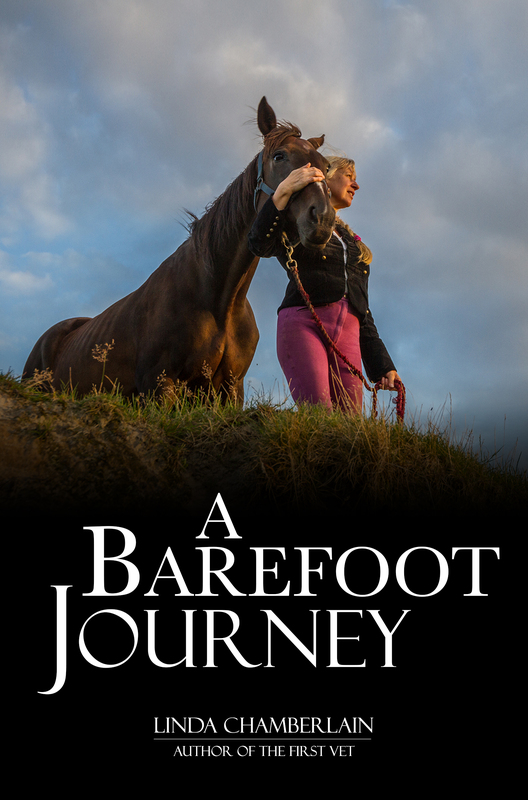 Advantages of barefoot – less injury, hoof supports the heart, better circulation and potentially better and more natural grip. I don’t understand why everyone isn’t doing it! Thank you for commenting. You’re welcome. It is a great article. I agree, without trainers taking a new approach then we will have nothing to judge. Certainly there are no wild horses running in metal shoes! It could well be the case with more and more technology that research proves this to be the future of thoroughbred horse racing, especially with regard to tendon injury. If this hypothesis is tested via research it could well prove to be objective and significant. Keep up the good work. Great article, if the sweet mare was black and called Poppy then she is one of ours and has come home to Berkshire to chill out and then be schooled and put out on loan. She is still barefoot as are all our ex racers and doing very well. I can’t remember her name but sounds like the same lovely horse. I really did want to sneak her into my bag. Do you rehome ex-racehorses? Tell me more if you do. Hi Linda we run a racing syndicate and our ethos is that we retain ownership of all our horses and re home them when they retire. We currently have 7 in training with various trainers and four who are retired and either out on loan or with us being retrained. We buy our own horses and pick them to have the temperament and confirmation to have a good life after racing. That’s such good news. Thank you for letting me know. And good luck with your syndicate.